SYNOPSIS: A Simple Fracture is a story about memory. 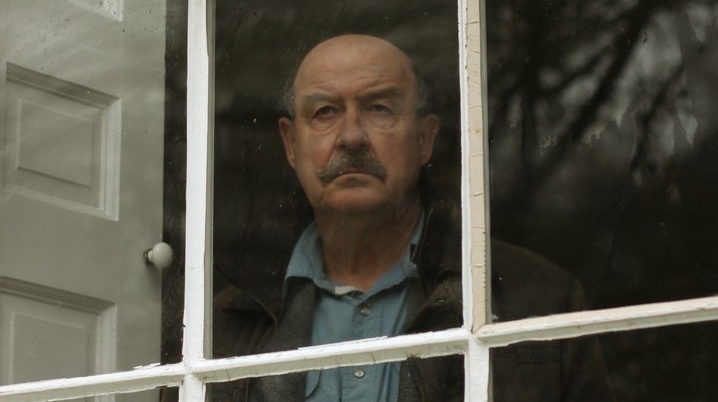 Professor Philip Stone is an eminent neuroscientist – now in his seventies – who whilst being interviewed for a high brow television programme falls down a rabbit hole of his own memory and sees for the first time a traumatic and long suppressed event from his childhood in its entirety. DIRECTOR’S BIOGRAPHY: Jonny Phillips initially trained as an actor at RADA, starting his career in regional theatre in the 1980s. Following a very formative time at the Citizens Theatre Glasgow, Jonny started to work in TV drama and appeared on pretty much all of the key episodic dramas in the UK – everything from Casualty to Silent Witness and Poirot to Spooks. His first feature film role was in Stephen Frears 1987 film Prick Up Your Ears and roles in diverse films such as James Cameron’s Titanic, David McKenzie’s The Last Great Wildnerness and Nicolas Winding Refn’s Bronson followed. Working alongside such a varied selection of directors help cultivate his passion for film making – in front and behind the camera. Jonny also collaborated with the late Derek Jarman on a number of small-scale film projects, where he developed a taste for a more improvisational and sensual film language, these experiments culminated in the Super 8 shot The Gates of Paradise. Jonny wrote and honed the script for his first short film Woodwoo between acting jobs, with the film being completed in early 2013. Inspired by a stint as a tree surgeon during a period of no acting work, the visually poetic and technically ambitious short went on to screen around the world on the international festival circuit to much acclaim and was picked as one of the best of the Encounters Short Film & Animation festival in 2013. A Simple Fracture marks his second collaboration with the Woodwoo team; producer Jonathan Blagrove, cinematographer Andy Parsons and editor John Fensom. Still working hard as an actor, he recently playing Pervak in Armando Ianucci’s The Death of Stalin and is currently in development on a number of his own film projects, including his debut feature.